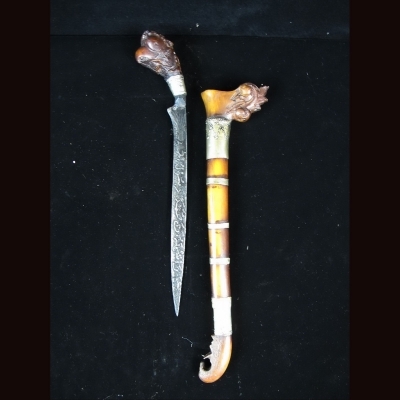 The badik is a traditional Malay dagger used as a weapon of defense or for domestic purposes such as slaughtering animals, or cutting meat or onions. The blade is forged from steel for durability. Both sides of the blade is fully decorated with Jawi wordings, possibly verses from the Quran. 1990s collection.